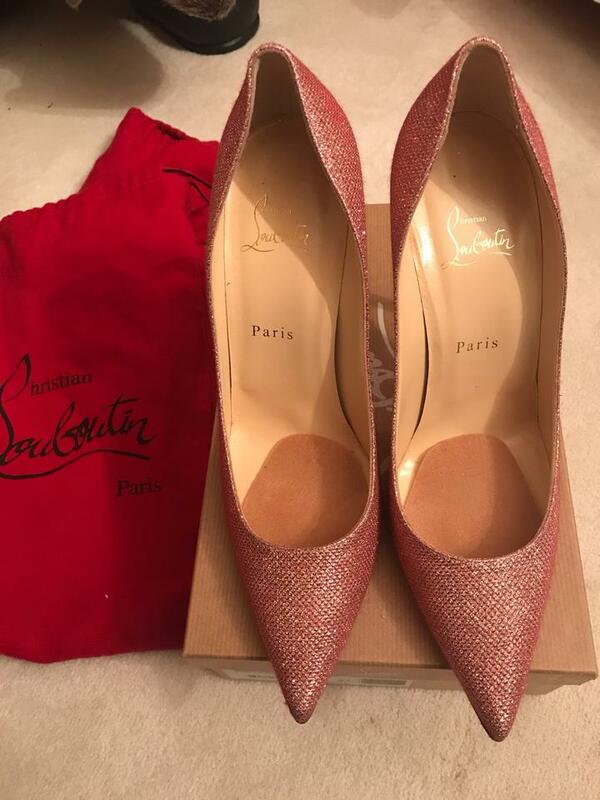 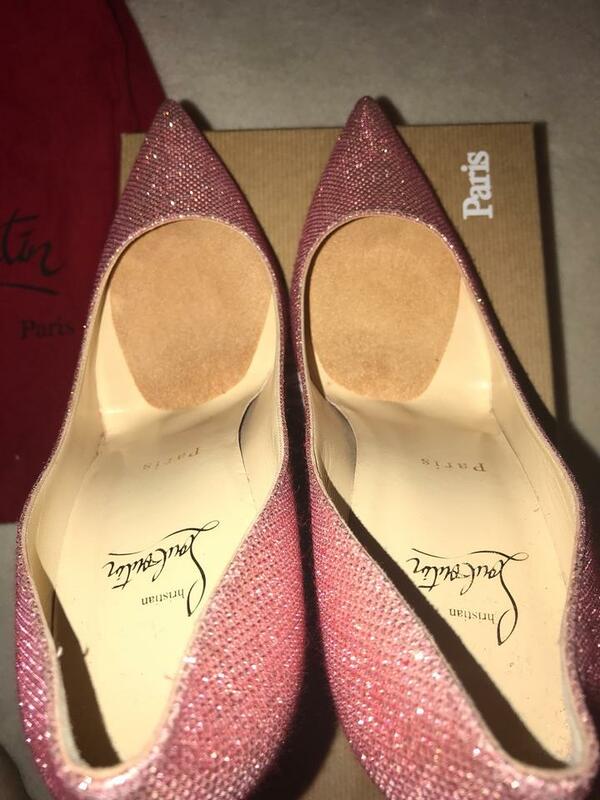 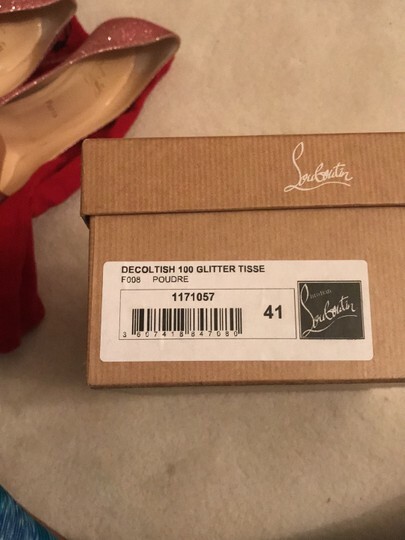 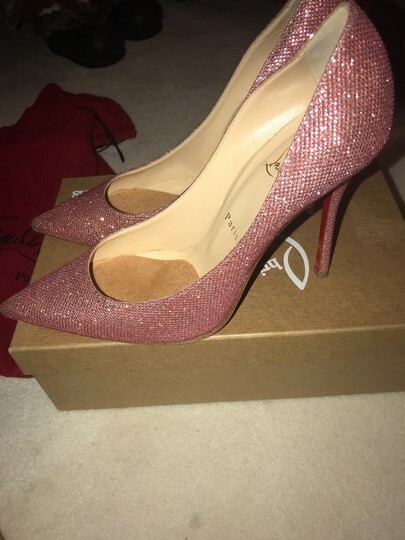 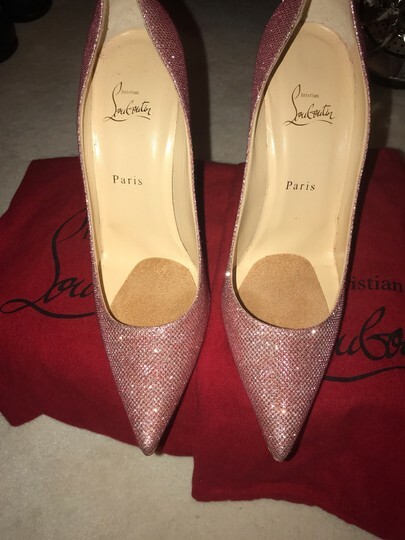 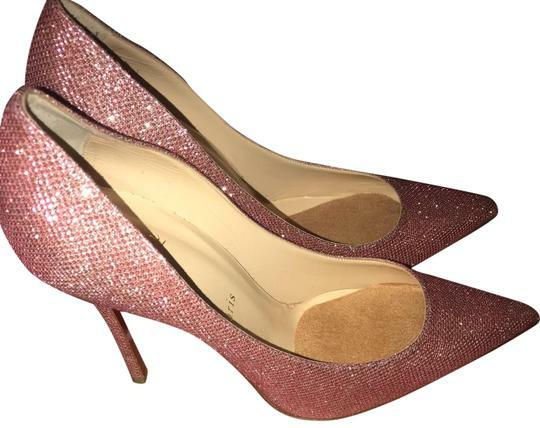 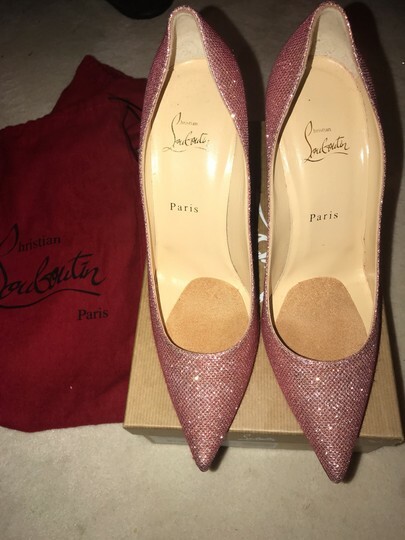 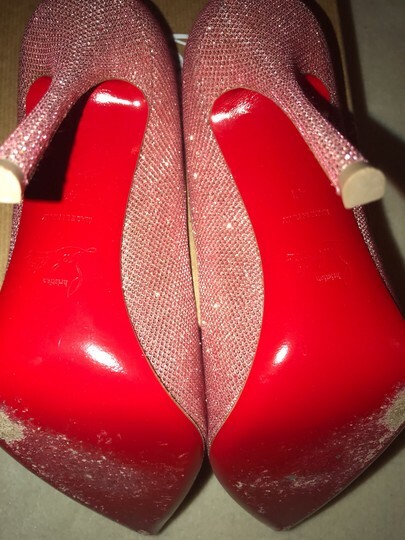 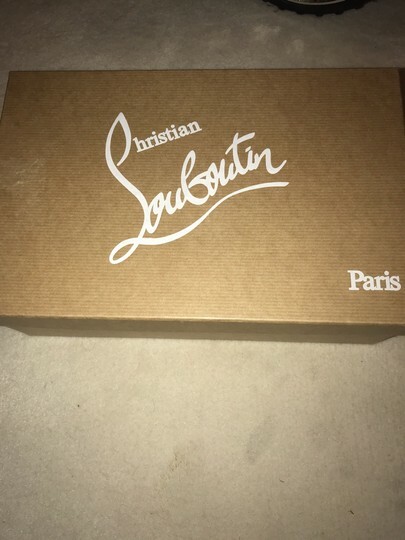 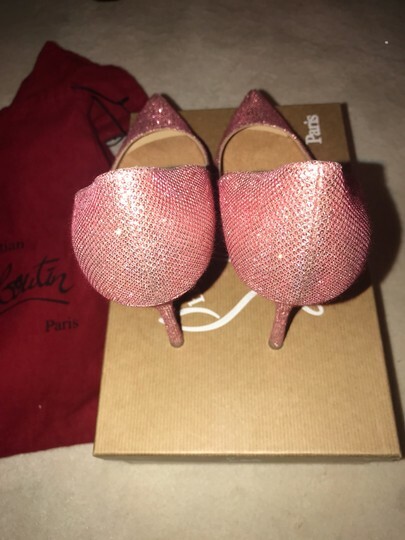 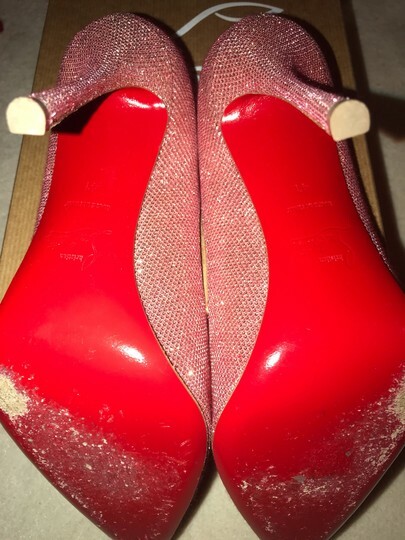 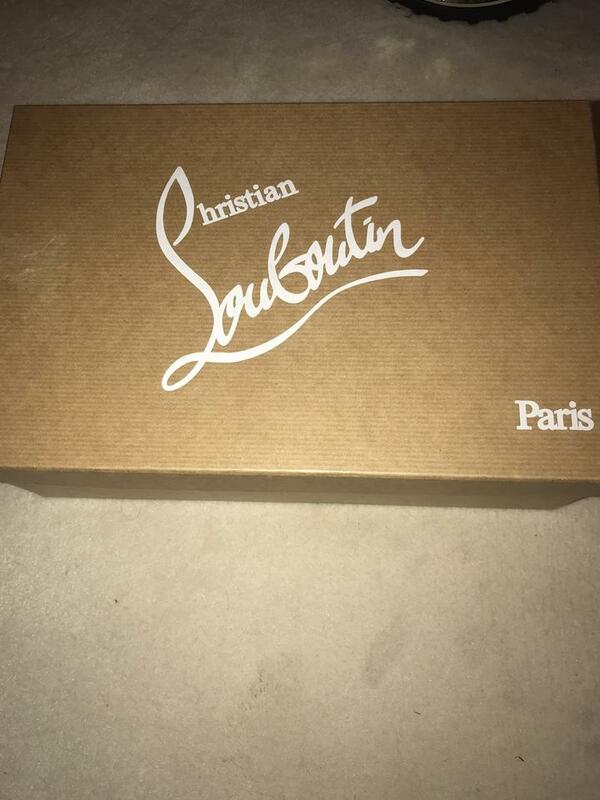 Beautiful AUTHENTIC Christian Louboutin Decoltish 100 glitter pumps in pink! 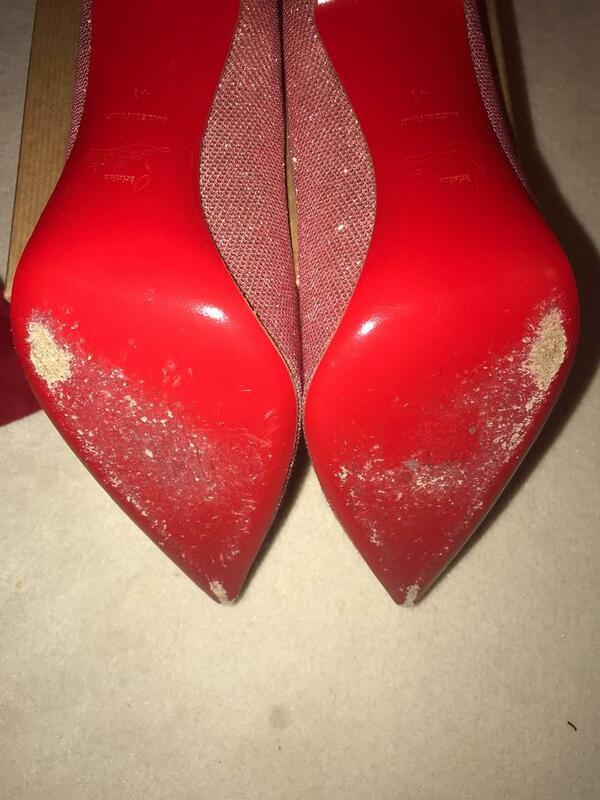 Excellent worn once condition. The soles have minor scuffing, but these were purchased brand new in April 2017 and look brand new on. 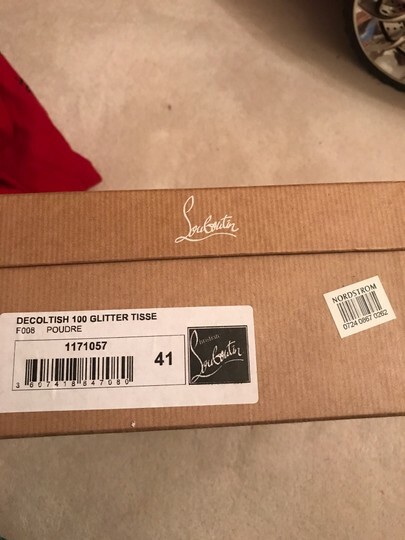 Size 41. Comes with original box, dust bags, and heel tips.